Sundance classic bed, solid pine Golden Oak stain, king size. 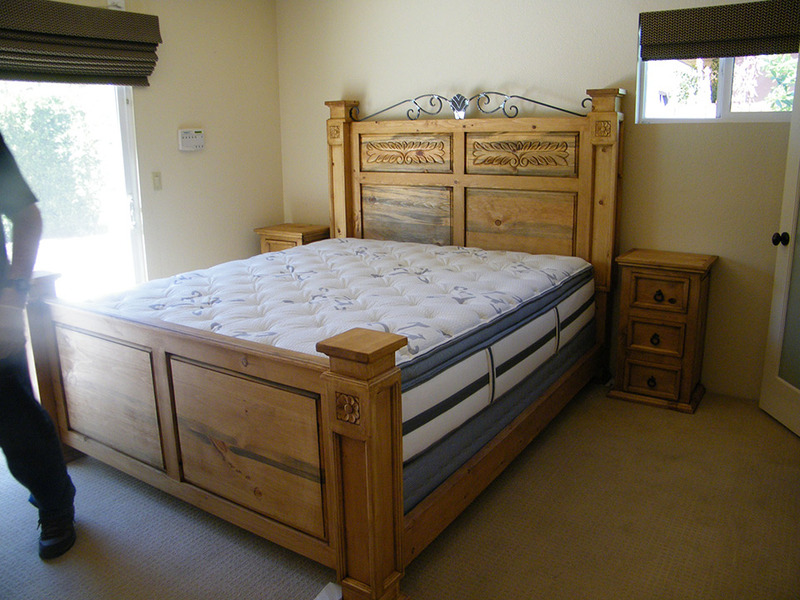 Easter or Cal King Governador Bed straight top. Made for You and your family. Above, Arched top Governador, walnut stain, no finish yet. Below left Cancun Bed in Honey stain. 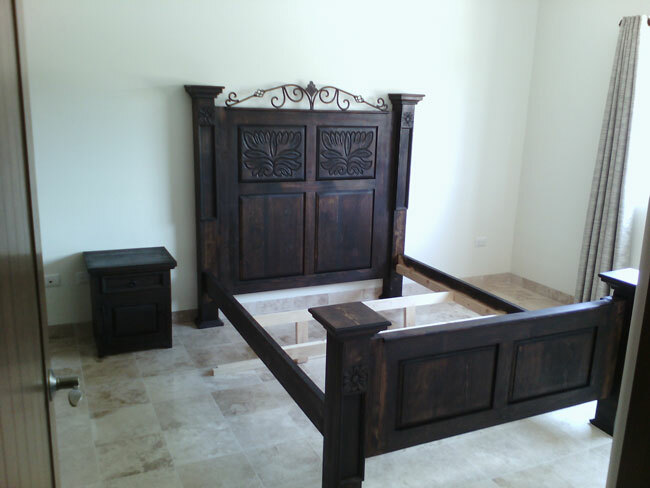 Santa Isabel Bed in Maple stain, these beds are made to order in Solid natural great smelling U.S. pine, or Cedar…Your bed. 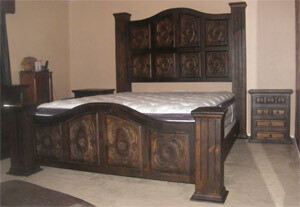 Our classic Hacienda Sonora Bed with Governador carvings.